This purpose-built mic case has space for up to 9 handheld microphones and related accessories such as clips and mic leads. 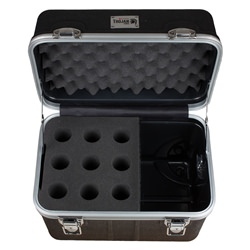 This purpose-built mic case has space for up to 9 handheld microphones and related accessories such as clips and mic leads. 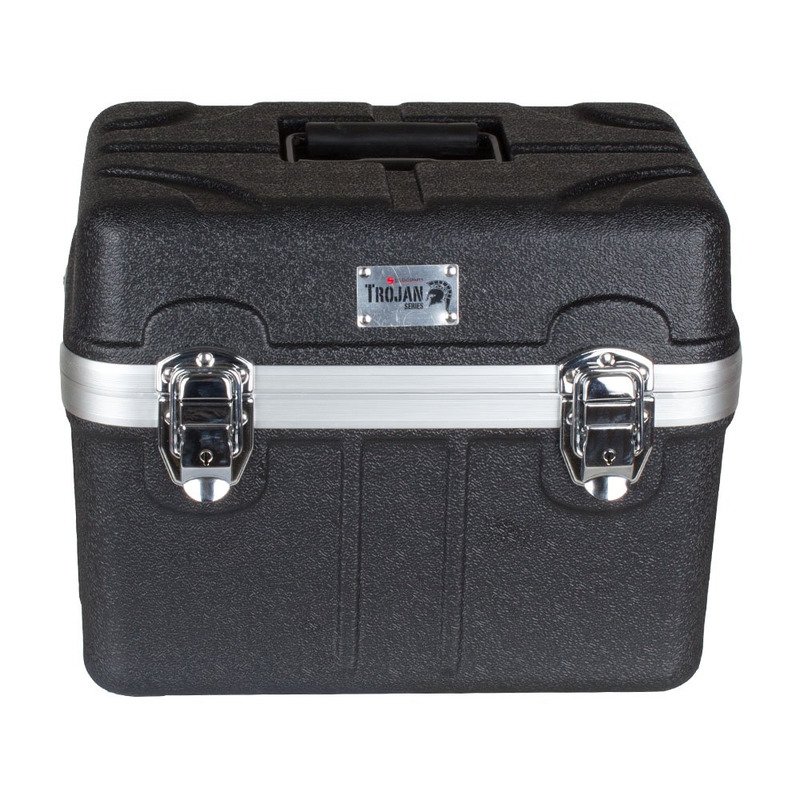 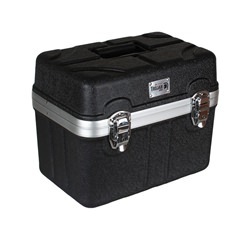 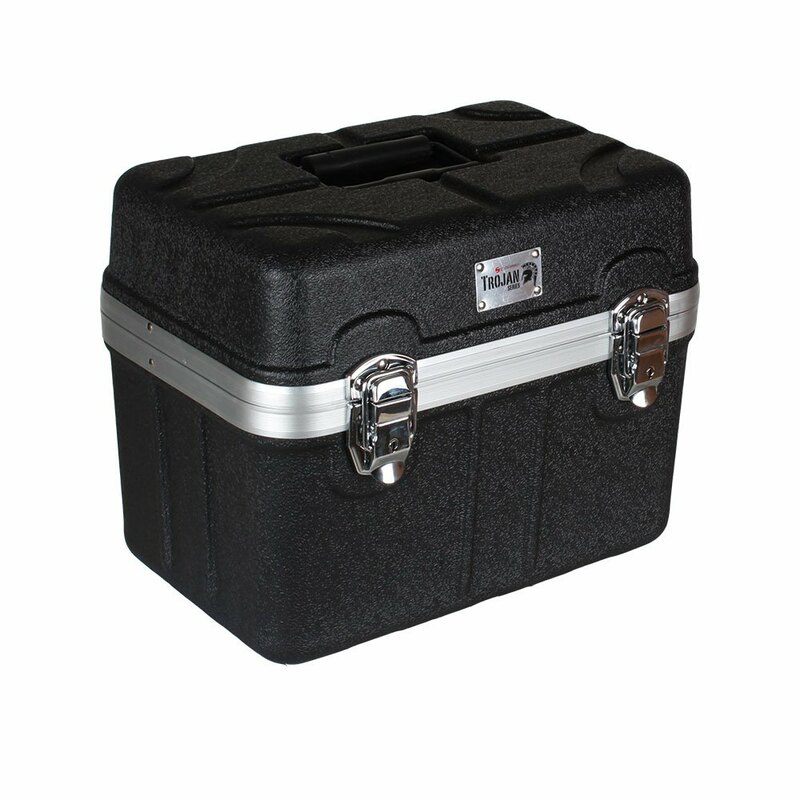 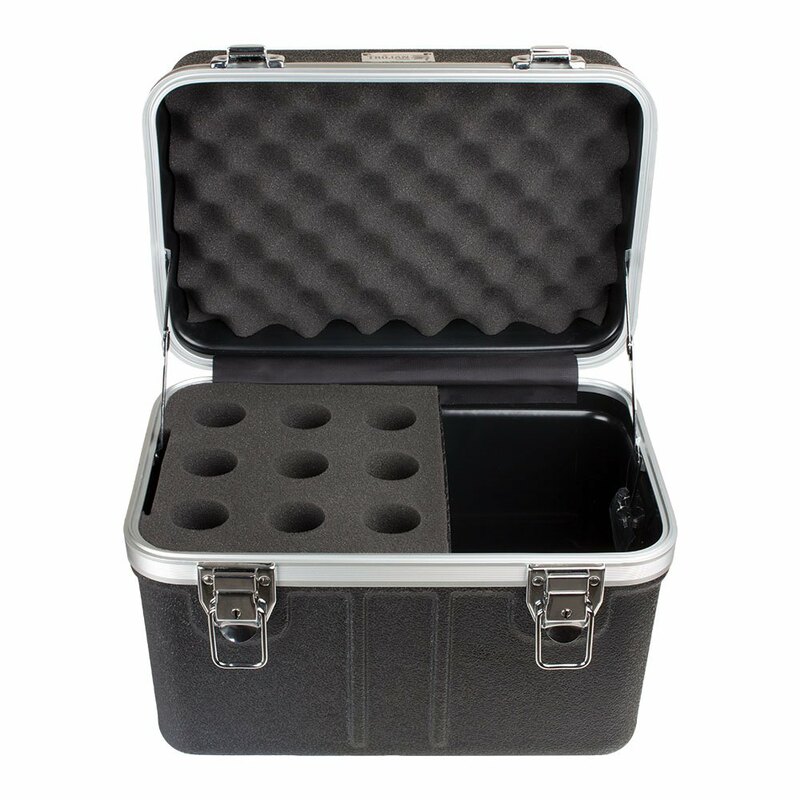 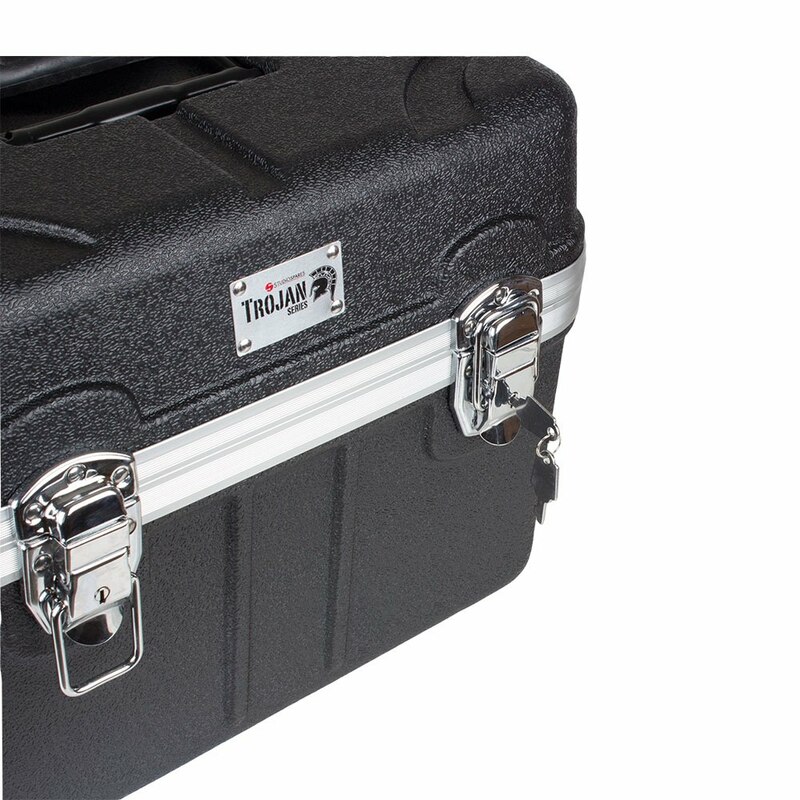 Constructed from high-strength ABS for a great strength/weight ratio, and lined with high density foam to protect your mics during transit, this is a premium grade case sold at a fraction of the price of competing products. 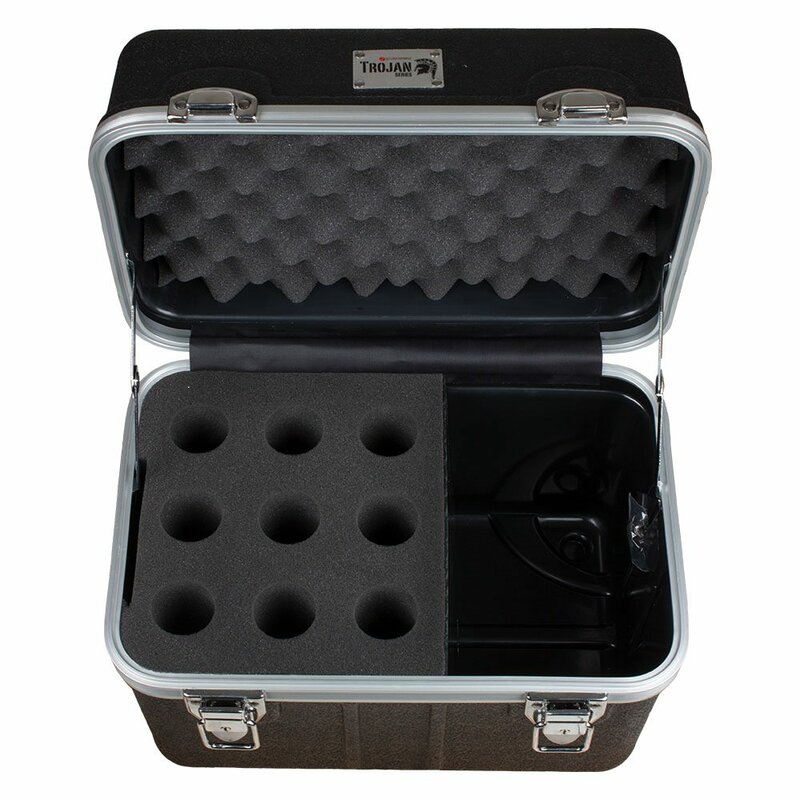 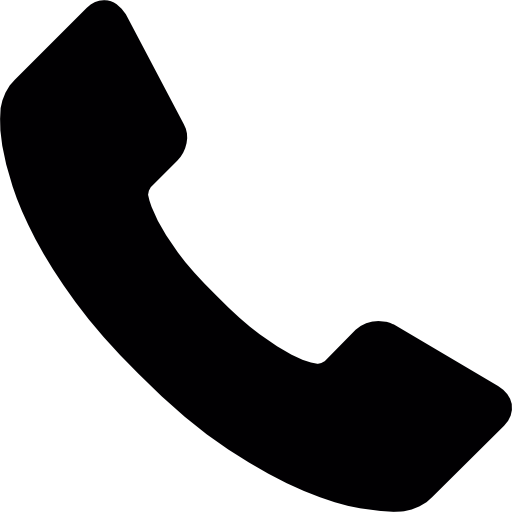 Can hold microphones with a diameter of up to 40mm.